It’s that time of year again, so here are some tips to make sure it’s as enjoyable and safe as possible. 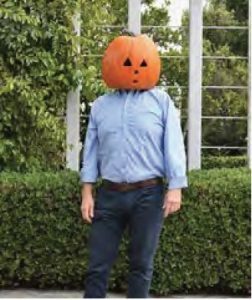 Avoid loose fitting costumes to prevent trips and falls. Try getting creative with make-up or face paint instead of wearing masks that can impair vision. If a sword, cane, or lightsaber is a part of your child’s costume, make sure it is not sharp or too long. A child may be hurt if he/she stumbles or trips. Be careful of garden decorations, stones or anything hazardous that might trip your ghoulish visitors this year! Make sure outdoor lights are working and replace old bulbs if necessary. Keep pets indoors and safe – Halloween is an ever SCARIER night for them! Do not leave lit pumpkins unattended or near flammable objects. Look both ways crossing the road – do not take chances! Bring a flashlight with you for getting home safely. Never enter a stranger’s house even if invited. If you have a mobile phone, carry it with you for emergencies. From all of us at REGENESIS, have a fun and scary safe Halloween! Client Spotlight: Jeffrey Holden, Senior Engineer at GEI Consultants, Inc.
REGENESIS is proud to have Jeffrey Holden, Senior Engineer at GEI Consultants, Inc., as a valued client in environmental remediation, and appreciates his wealth of experience and ongoing efforts in providing successful remediation outcomes for REGENESIS and its clients. Safety Topic: Have a Safe and Happy Labor Day Weekend! We celebrate Labor Day across the country to recognize the achievements of American workers and the contributions they made to the strength, prosperity and well-being of our country. You deserve a day off and should take the time to enjoy this holiday weekend – but do it with appropriate planning and awareness for safety. This Labor Day weekend, millions of drivers will take to the highway for one final summer getaway, making it one of the busiest holiday travel weekends of the year. The National Safety Council (NSC) estimates that 368 traffic fatalities and an additional 19,900 nonfatal disabling injuries will occur during the Labor Day weekend. Here are some safety tips to ensure a safe Labor Day weekend. While a lot of people hit the water to beat the heat at the end of the summer, it can be dangerous if the proper precautions are not taken. From all of us at REGENESIS, have a fun and safe Labor Day weekend! Accidents and Incidents are preventable. However, when an accident occurs, knowledge of proper first-aid techniques can minimize injury and save lives. First-aid skills can help keep you and those around you safe and will give you the capability and responsibility to respond appropriately in the case of an emergency. The following guidelines address common situations involving first aid. Review these guidelines and stay educated on up-to-date first-aid practices. In addition, make sure you know the location of first-aid kits and ensure that they are fully stocked. If no response call 911. Open the airway by tilting the head and lifting the chin. Check for breathing for no more than 10 sec, occasional gasps are not breathing. If not breathing, proceed with CPR or use AED (Automatic External Defibrillator). If breathing, maintain open airway and monitor for change in condition. Administer compressions in the middle of the chestat least two inches deep. Tilt the head back and lift the chin. Pinch the nose and give a breath for one second for the chest to clearly rise. Continue CPR until you are unable or medical personnel have arrived. If breaths do not make chest rise even after re-tilting head, go to unconscious choking. Look for and remove object if seen. If breaths do not make chest rise, repeat steps 2-4. Bend person over at the waist and use heel of hand to hit between shoulder blades. Place hands in middle of abdomen with thumb against their body above their belly button, with other hand covering your fist and give upward thrusts. If person becomes unconscious call 911 and go to unconscious choking care. Minimize movement of head, neck and spine. Stabilize head to keep it in position it was found in by placing hands on either side of the head. Remove from source of burn. Cool the burn under running water until pain is relieved. Cover loosely with sterile dressing. Cover the wound with sterile dressing. Apply direct pressure until bleeding stops. Cover the dressing with a bandage. Apply more pressure and call 911. If bleeding does not stop, apply more dressing and pressure. Also take steps to minimize shock by laying down, elevating feet, and do not raise the person’s head. Shock symptoms include pale skin, weakness, rapid pulse and increased rate or irregular breathing. Never remove any dressings. Be aware of the scene and the injured to know the cause of poisoning. If person is unconscious, not breathing, or has a change in consciousness call 911. If person is conscious, call the National Poison Control Center at 1-800-222-1222 and follow advice given. The guidelines offer just a brief overview of some essential first-aid skills. To broaden your first-aid knowledge and expertise, consider taking a first-aid class or additional training in techniques that are most pertinent to your home and workplace. Client Spotlight: Richard Desrosiers, Associate Principal and Hydrogeologist at GZA GeoEnvironmental, Inc.
REGENESIS is proud to have Richard Desrosiers, Associate Principal, Hydrogeologist at GZA GeoEnvironmental, Inc., as a valued client in environmental remediation, and appreciates his wealth of experience and diverse contributions in providing successful remediation outcomes for REGENESIS and its clients. REGENESIS is proud to have Erin Huntley, Senior Technical Manager/Technical Principal at WSP, as a valued client and partner in environmental remediation, and appreciates her dedication and diverse contributions in making a difference in successful remediation outcomes for REGENESIS and its clients. When you ask Nick Alfino, Project Professional at Antea Group USA, Inc., about his role within the company, it quickly becomes apparent he is tasked with a broad range of responsibilities. As a leading international engineering and consulting firm, and valued REGENESIS client, Antea Group USA, Inc. relies heavily on Alfino to manage field oversight that includes site investigations, soil sampling, remediation implementation, System Operation and Maintenance, Phase I investigations, and Storm Water Pollution Protection Plans (SWPP)/Spill Prevention Control Plan (SPCC) inspections. In addition, he’s also responsible for technical report writing for air permit applications, emission inventories, remedial action plans, work plans, performance monitoring reports, and closure requests. Suffice to say, the depth and volume of these responsibilities keeps Alfino extremely involved and busy, yet he wouldn’t want it any other way. Shares Alfino, “I really enjoy my position, especially the diversity of the projects I work on. I like that each day is a new challenge in a different industry or practice area. It allows me to expand my knowledge in multiple fields through Antea Group’s wide variety of experienced Consultants and Project Managers.” His broad range of work is further amplified by the varied and extensive capabilities of Antea Group’s vast operations, which as an international health, safety and environmental consulting firm, employs more than 3,500 employees in over 75 offices on six continents. Alfino’s path that eventually would lead him into environmental remediation was sparked while working on a senior design project in college. Initially, through his early education, he was interested in structural engineering, with his sights on bridge construction, but in college he was unable to find a suitable design project. He continues, “The project that interested me the most was designing a mobile treatment system for produced and flowback water from hydraulic fracturing. My work on this project encouraged me to switch directions and focus on environmental remediation.” This directional change in his studies culminated with Alfino earning his B.S. degree in Civil Engineering from Colorado State University , and he began his career with Antea Group USA, Inc. shortly thereafter. To stay current within the industry he takes additional coursework through the University of California Irvine (UCI) Extension program. “I have taken an Air Permitting Course through UCI”, he says, “and an Advanced Tanks – Air Emissions course offered by International Liquid Tanks Administration (ILTA). I also attend various webinars offered by REGENESIS which include recent webinars, “Safe and Effective In Situ Remediation: Best Practices for Amendment Selection, Design and Project Execution” that my colleague, Jack Sheldon presented on and “Demonstrating Contaminant Biodegradation in Conjunction with PlumeStop Liquid Activated Carbon.” Not surprisingly, his steadfast efforts to continually stay abreast of the latest trends in land sciences, coupled with his day-to-day responsibilities and academic background, have positioned Alfino as a member of the industry’s new breed of rising stars. REGENESIS is proud to have Nick Alfino, Project Professional with Antea USA, Inc., as a valued client and rising star in environmental remediation, and appreciates his dedication and diverse contributions in providing successful remediation outcomes for REGENESIS and its clients. According to the American Sleep Foundation, about half of U.S. adult drivers admit to consistently getting behind the wheel while feeling drowsy or fatigued. About 20% admit to falling asleep behind the wheel at some point in the past year – with more than 40% admitting this has happened at least once in their driving careers. These startling figures show how prevalent fatigued driving is. What drivers may not realize is how much fatigued driving puts themselves – and others – at risk. In fact, an estimated 6,000 fatal crashes each year may be caused by fatigued drivers. Keep in mind that if you are experiencing any of these symptoms of driver fatigue, it is very likely that your driving performance is already impaired. Stop and take a break before it is too late. Numerous studies have found that sleep deprivation can affect driving as much as (and sometimes more than) alcohol. Researchers have found that driving after 17 to 18 hours of being awake is as harmful as driving with a blood alcohol level of .05%. Awareness is key to solving this issue for everyone. Stay safe, recognize these symptoms. None of us would let a friend or family member drive drunk, don’t let them drive fatigued. 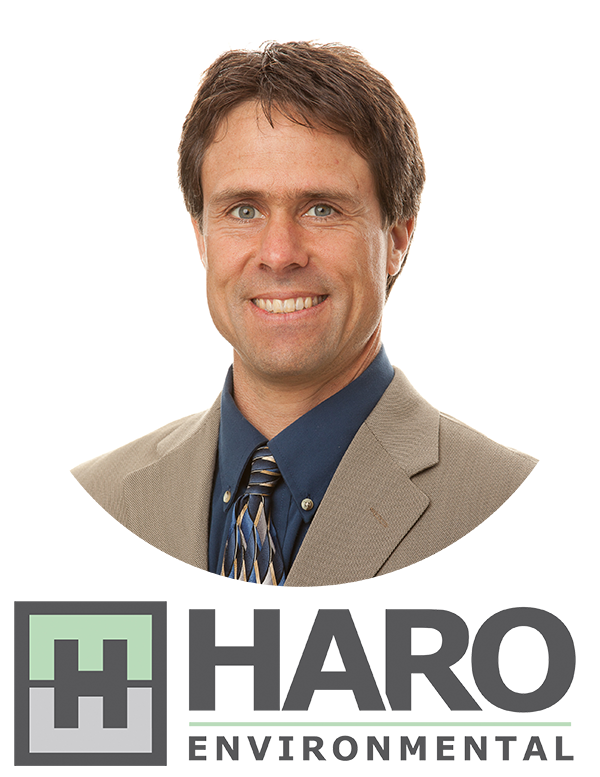 Client Spotlight: Elliot Haro, Vice President and Principal Scientist at Haro Environmental, Inc. Choosing a career in environmental sciences was an easy choice for Elliot Haro, Vice President and Principal Scientist at Haro Environmental, Inc., an environmental consulting firm and valued REGENESIS client. In high school, Haro was already interested in chemistry, math and biology, three important subject areas that would eventually frame his undergraduate studies in college. “I really enjoyed math and chemistry in the first two years of college,” says Haro. “Then I took an introduction course on soils and realized this field included a great combination of math, chemistry, and biology. I knew then that for me, environmental science was the perfect match!” As an executive with Haro Environmental, Inc., Elliot is responsible for a wide range of the firm’s services, which provides him with ongoing diversity in his work. He continues, “My current role with the company includes managing everything from procurement and marketing to project management and project implementation, including sampling and reporting. As such, there’s a nice balance between field work and office work.” He also likes the fact that each day is different. His work spans client and contract management, project management where he manages field services and reporting, to soil, soil vapor and groundwater investigations and site assessment. When he’s not involved in groundwater monitoring, investigating soil vapor, or a host of other day-to-day work responsibilities, Haro can be found surfing somewhere off California’s Central Coast, near Los Osos, where he lives with his wife and two children. “I’m up for anything in the ocean,” he says, “Except sharks! I really enjoy surfing, and living on the central coast offers great opportunities for that.” He is also involved in charity work, and points out that Haro Environmental, Inc. donates its services to support local non-profit organizations, including the Land Conservancy of San Luis Obispo. When it comes to working with REGENESIS, Haro is especially impressed with the level of their technical expertise. He continues, “REGENESIS brings a strong technical background to each project. We recently completed an injection of PlumeStop® and Hydrogen Release Compound (HRC®) to degrade chlorinated VOCs. The challenges of this project were the same as with most injection projects- distribution. The pre-injection design verification field assessment was helpful in understanding the subsurface conditions, and the outcome was successful. VOC concentrations were reduced, and project goals were met within 2 years of the injection without the need for any follow up injections.” He is also pleased with how PlumeStop® has been shown to be rapidly effective for reducing dissolved-phase chlorinated VOC concentrations in groundwater, and feels Bio-Dechlor Inoculum® Plus is helpful with the full dechlorinating reaction. REGENESIS is proud to have Elliot Haro, Vice President and Principal Scientist at Haro Environmental, Inc., as a valued client and partner in environmental remediation, and appreciates his range of diverse experience in providing successful remediation outcomes for REGENESIS and its clients. As the days become warmer, it is important to take precautions to avoid heat-related illnesses, which occur when the body is unable to cool itself efficiently after exposure to heat stressors. Each year, hundreds of workers die in the U.S. from heat exhaustion and thousands more are affected by other heat related illnesses. Heat illness is a serious medical condition that can lead to death if the body’s core temperature is not cooled down promptly. Workers who are exposed to extreme heat or work in hot environments may be at risk of heat stress. Heat stress can result in heat stroke, heat exhaustion, heat cramps, or heat rashes. Heat can also increase the risk of injuries as it may result in sweaty palms, fogged-up safety glasses, and dizziness. Workers at risk of heat stress include outdoor workers and workers in hot environments. Workers at greater risk of heat stress include those who are 65 years of age or older, are overweight, have heart disease or high blood pressure, or take medications that may be affected by extreme heat.